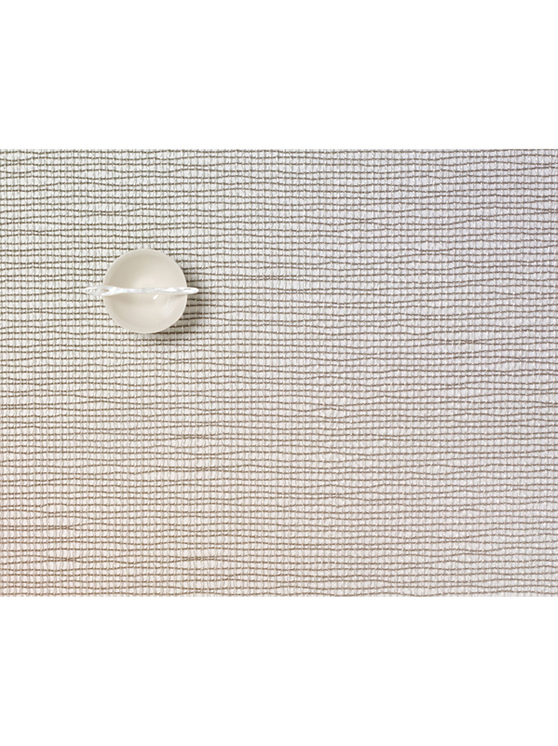 Often likened to crystal and jewels, this naturally irregular open weave utilizes translucent and proprietary yarns which shimmer in any setting. These placemats are suitable for indoor and outdoor use. To clean, simply wipe with soap, water and a soft sponge/cloth. Standard antibacterial cleanser can also be used. Air dry.